One of our Destination Experts. It’s just like using a real estate agent. Our Venue Experts will consult with you to learn you and your fiance’s vision for your big day, then use their expertise to match your vision and budget to the few venues that meet your needs. In addition, they will plan all of the details of your guests’ travel, so that you can focus on the fun stuff. Destination Wedding Experts. 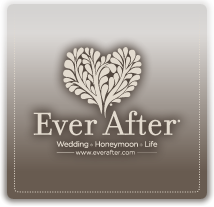 Our Destination Experts specialize in helping couples find their perfect wedding venue. They have personally visited each and every venue we recommend, so they know which venue is a Perfect Match for you and your fiance. Exclusive Pricing & Perks. We help over 15,000 couples a year find their perfect wedding venue, which, along with our personal relationship with our venues, allows us to get exclusive pricing and perks for our customers. Peace of Mind. Our destination experts only recommend the best venues - ensuring an amazing and memorable wedding for you and all of your guests. They will plan all of the details of your guest’s travel, so that you can focus on the fun stuff.